Only by watching the following video can anyone truly apprehend the depth and breadth of genocidal war crimes purposefully perpetrated by the U.S. Federal Government and its foreign agents and proxies. The following video is so shocking in its content and stunning in its accuracy that it ought to serve as the primary evidence demonstrating the deliberate execution of war crimes against several nations throughout the Middle East and North Africa. In the absence of a military-coordinated peaceful coup d’état there may be only one other alternative for the American people. These United States of America have reached a critical juncture. As a matter of historical fact, this country has committed a series of heinous war crimes through the prosecution of several unprovoked wars of aggression throughout the world. 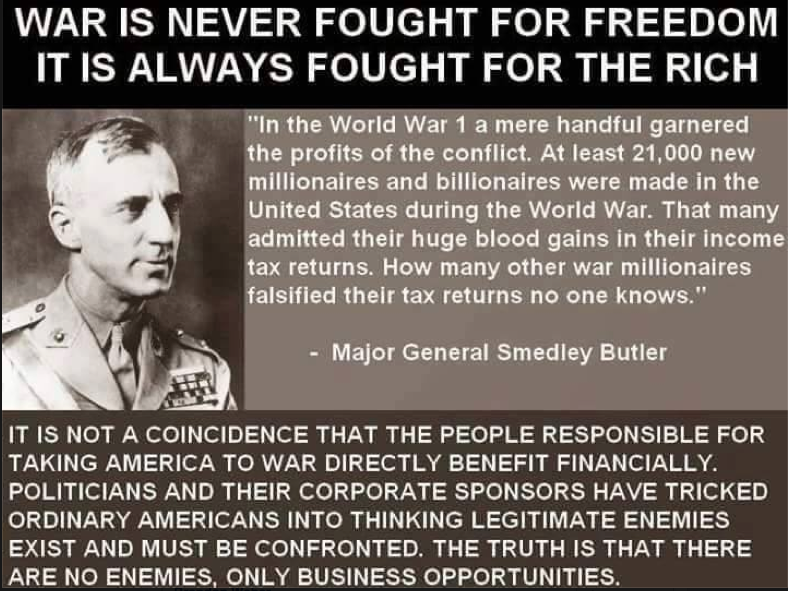 This preplanned scheme to wage unlawful and undeclared wars against innocent nations has been clearly explained by one of the highest ranking generals of the U.S. Army (See video above). Because the relevant allegations have been publicly made by a 4-star General of the U.S. Army, their import and gravity must be acted upon. 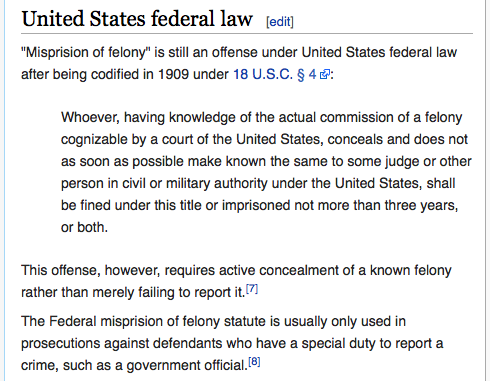 Not to do so makes every member of the U.S. Congress guilty of misprision of felony. Hence, the preceding video ought to be sent to every single congressperson in the event that there are any legislators who have not yet viewed it. Please have no doubt about the severe implications of the account that General Wesley Clark has presented to the world-at-large via the Internet. Essentially, he has presented a legally sound pretext for the immediate arrest and incarceration of the entire Neocon cabal and their numerous co-conspirators throughout government and the corporate sector. This would include President Barack Hussein Obama, Vice President Joseph Biden, former Secretary of State Hillary Clinton, Secretary of Defense Ash Carter and Secretary of State John Kerry. In light of the ongoing and wholesale destruction of the sovereign nation of Syria, it becomes that much more necessary for all proper authorities to act with deliberate speed and due process. Not to act on these extremely serious allegations constitutes a profound dereliction of duty on the part of the Joint Chiefs of Staff and all subordinate flag officers. Even junior officers can be held criminally responsible for carrying out patently unlawful orders to commit war crimes and genocide. The truth be told, the U.S. Federal Government has been a party to the most devastating series of illegal and unprovoked wars of aggression in modern history. The grimmer reality of this entire situation is that the American people permitted their leaders to commit such egregious atrocities IN THEIR NAME and WITH THEIR TAX DOLLARS. Therefore, by re-electing President Obama, they are complicit in their government’s deplorable and criminal conduct. There is really only one way out of this predicament for the body politic. The American people must immediately demand the dissolution of the Obama Administration. Every senior member must be arrested and imprisoned until a tribunal can be assembled by the International Criminal Court at The Hague. Upon seating a jury that is broadly represented by the world community of nations, a globally televised trial can then proceed forthwith. It is imperative that the behavior of the U.S. Federal Government (as well as that of the United Kingdom) be fully exposed for all to see and punishment be meted out commensurate with the unprecedented serial nature of said war crimes. General Clark made it very clear in his verbal “indictment” that the co-conspirators, in the implementation of these crimes against humanity, had premeditated plans on the drawing board for many years. That the utilization of the U.S. Military was for the purpose of nation devastation, not nation building as George W. Bush once tried to hawk, is truly one of the worst institutional deceptions of our times. From this point forward, every member of the U.S. Armed Services is walking a very fine line. The continued execution of unlawful orders is both criminal and immoral, repugnant and cowardly. Therefore, every soldier and pilot, Seal and Green Beret is cautioned from entering war zones which were illicitly created by the U.S. Federal Government. The entire nation of Syria represents such an illegitimate war zone. In fact the Middle East has multiple theaters of war which have been fabricated through false flags attacks and other black operations. As General Clark stated, they planned on invading Syria in order to dominate it … and so they did along with 6 other countries. In closing, may the words of Edmund Burke inspire men and women everywhere to do what is right where it concerns the future destiny of the United States of America. There is no more effective endeavor that the American people can undertake in this moment to prevent a full-blown World War III from breaking out than acting on this brave general’s indictment. The whole world is now watching the daily escalation of events in Syria and Iraq. Everyone is wondering when the USA and its proxies will do something so provocative that the Mideast will be turned into an apocalyptic conflagration. Hence, it is highly recommended that every recipient of this missive disseminate it by every means possible. After all, it is the very same Neocon co-conspirators who are responsible for turning the Middle East into a virtual Armageddon … in real time! It has never been so urgent for the people of the world to take responsibility into their own hands. The citizenries around the globe have been profoundly betrayed by their governments. Consequently, the people — We the People — must act now. Otherwise, the terrible wars that you see waged in foreign lands will come to your own doorstep. The time to act is now. If not for the people of the destroyed nations across the oceans, then for yourselves since a World War 3 will deeply impact the entire planetary civilization. Before you act, put your hands together in prayerful supplication and ask for the strength and faith and perseverance to see through every initiative toward establishing an enduring peace. May Almighty God bless you and your noble deeds! Does anyone really want to see it come to this in an election year? The following two essays lay bare exactly what the current condition of the American Republic really is. Both of them gives very good reason to pause … and then aggressively pursue the only options left for We the People.